Estimates are unajusted for seasonal variation, or for price changes. Total sales estimates are also unajusted for trading-day differences and moving holidays. 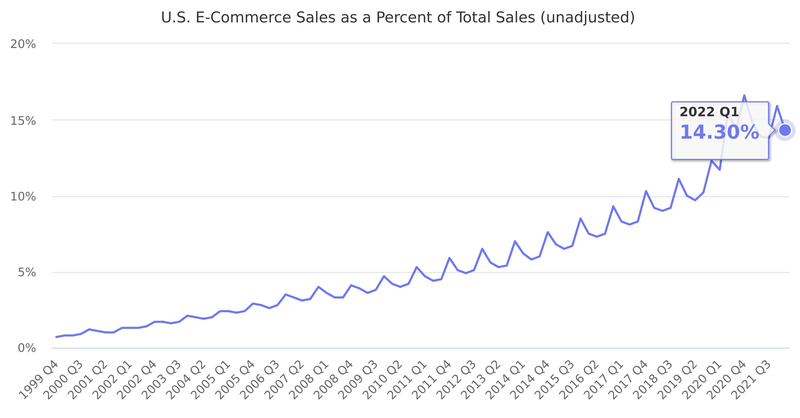 Related data U.S. E-Commerce Sales as a Percent of Total Sales. Last reported quarter 2018 Q3 it was 9.1%, up by 8% year-over-year from 8.4%.